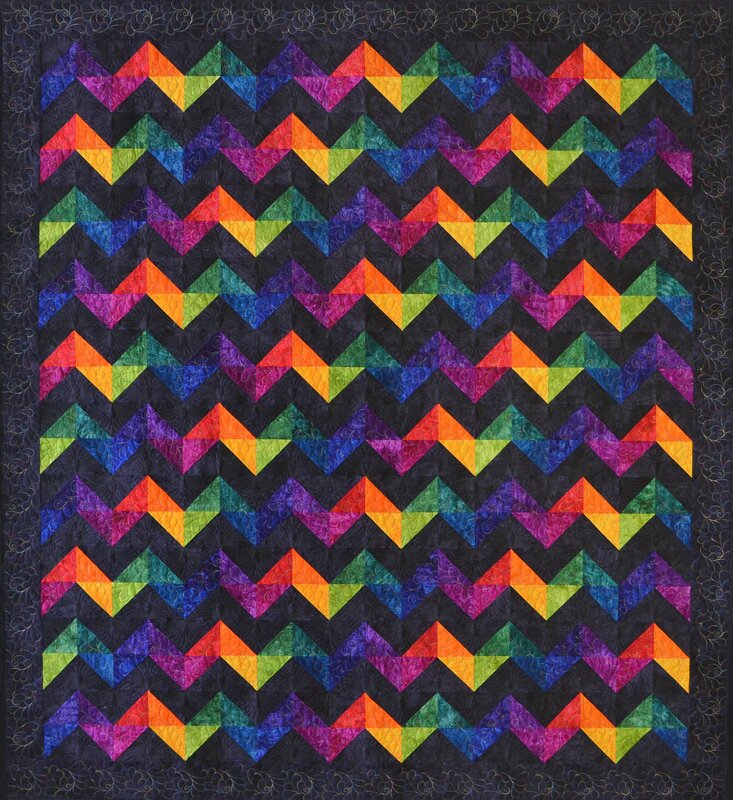 This fun easy quilt is made using my favorite method of making fast easy half square triangles. Throw - 64" x 64", made from 8 Fat Quarters plus 4 yards Contrast, border & binding. Lap - 71" x 78", made from 12 Fat Quarters plus 5 yards contrast, border & binding. Queen - 96" x 103", made from 20 Fat Quarters plus 8 yards contrast, border & binding. A Quilt Back can also be ordered to match in any color you choose.